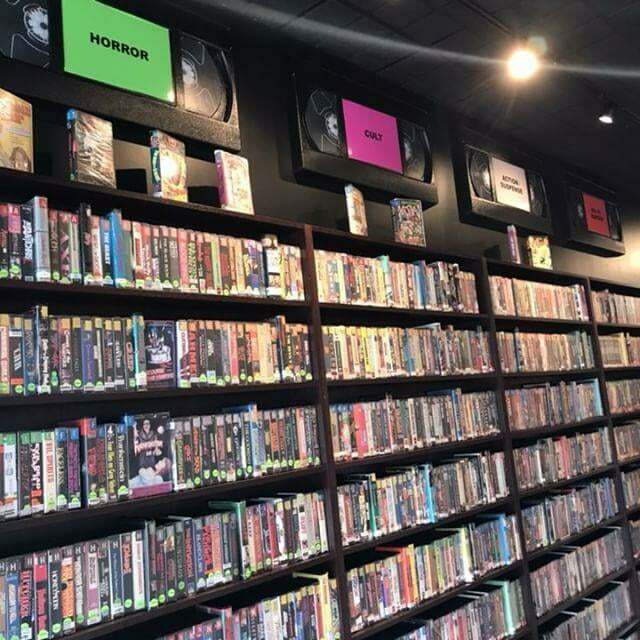 Exhumed VHS out Calgary, Canada are (not surprisingly) huge fans of the old VHS format which existed for over three decades. They not only still collect old tapes but they are bringing them back in a big way with their GIANT VHS TAPE wall art. These enormous lightweight three dimensional thermoformed ABS plastic pieces pay great homage to a bygone era, including the video stores in which these long lost treasures could be found. Fully wall-mountable (tabs on the back for hanging), these VHS tapes would look great just about anywhere. 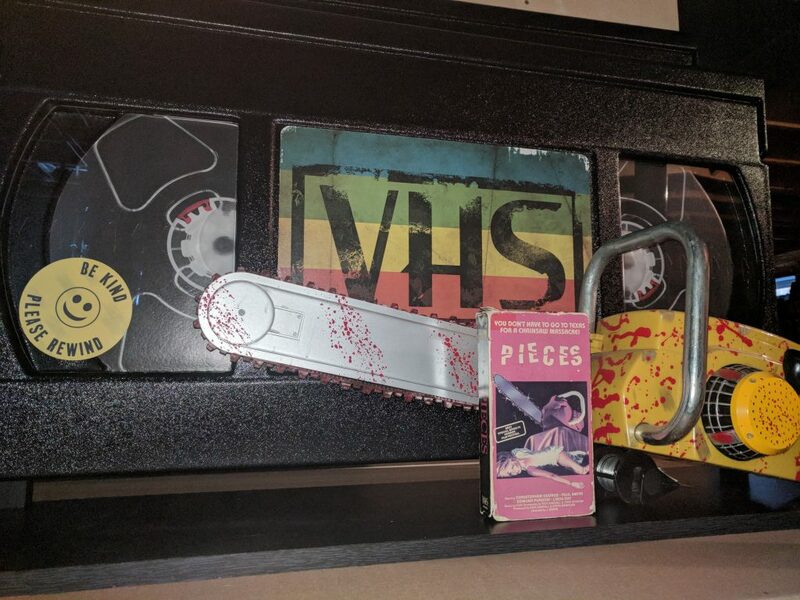 The resulting handmade, made to order, fully assembled wall decor pieces come complete with clear plastic window inserts (resembling the old VHS tape design housings where the film could be found), include a rainbow VHS label (unless a custom one is requested), as well as a green horror sticker. The tapes can also be purchased with custom movie labels upon request after purchase (all movie labels are designed by Jeff Robertson). Currently Exhumed VHS is working on a new product to go along with their “Giant” VHS tapes with the rainbow labels: “Giant” VHS video boxes. 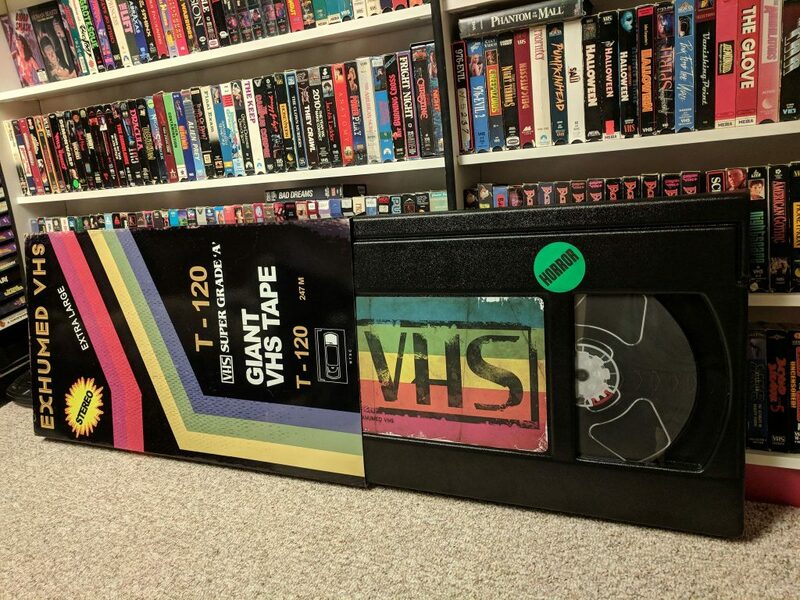 Right now these boxes (printed by Twinbat Sticker Co.) will only be sold with the rainbow labeled VHS tapes, with more to maybe follow in the future. Go retro in a big way and relive some nostalgia from the golden days of home video and wall-mount one of these great pieces in your horror den or wherever you choose. how much is the label?